Sometimes the best inspiration is the catalog... this card came directly from the catalog! 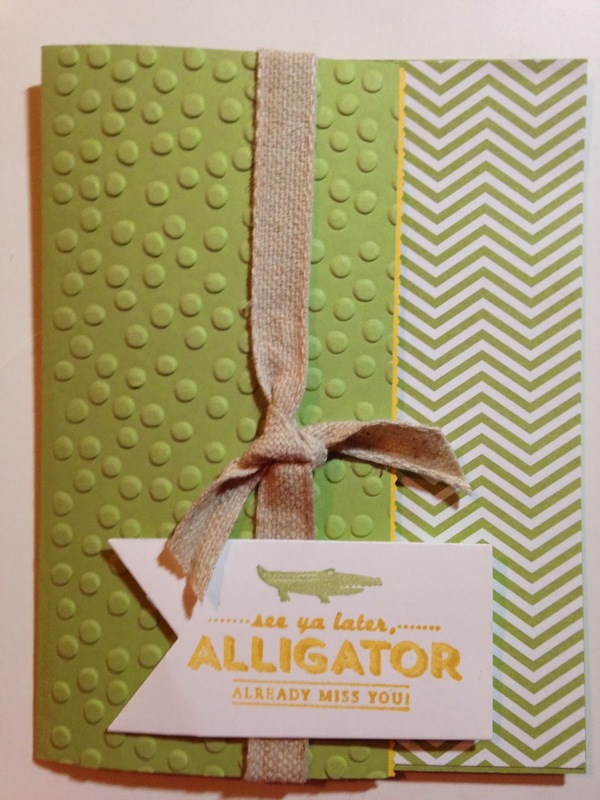 This card uses the See Ya Later Stamp Set which is an exclusive Stamp Set during Sale-a-Bration. I think the Pear Pizzaz paired with So Saffron. Come back tomorrow for a Color Challenge with Stylin' Stampin' INKspiration!